My name is Adam Giles Ryan, and I work with photographs. I grew up in New Jersey, forty minutes outside Philadelphia. While in high school, not long after purchasing my first camera, I found a book on the history of photography. After studying photography, political science, and philosophy at the Rochester Institute of Technology, I entered a joint graduate program established by Ryerson University and George Eastman House (now the Eastman Museum). This program, Photographic Preservation & Collections Management, was founded with the intention of training a new generation of scholars in the world of photography. It placed me and my colleagues at the intersection of three critical fields of knowledge: the history, theory and interpretation of photography, the principles of collections management, and the responsibilities of a preservationist. My thesis work focused on an under-researched photographer named Roger Mertin. His archive entered the collection of the George Eastman Museum in 2007. Mertin was an inheritor of Late Modernist photography, reaching artistic maturity at the time of the medium's heavy commodification in the mid 1970s. Known primarily for his typologies of Christmas trees and basketball hoops, Mertin belonged to a peculiar sphere of artists based in Rochester, New York - at the time, a crossroad of photographic ideas. I cataloged a portion of his negatives and assigned intellectual order to his archive. I also wrote the most in-depth biography of his life, and compiled bibliographic data, to give future scholars a head start when the time finally comes for this fascinating photographer to be critically examined on a large scale. After the completion of my Masters degree, I was offered the position of Curatorial Assistant in the Department of Photography at the Carnegie Museum of Art, in Pittsburgh, Pennsylvania. The central focus was the definitive retrospective on photographer Duane Michals. A Pittsburgh native, Michals intended the Carnegie to be the largest repository of his artwork. As such, CMOA was uniquely positioned to be the strongest, clearest voice when speaking on Michals' contributions to the world of art and photography. 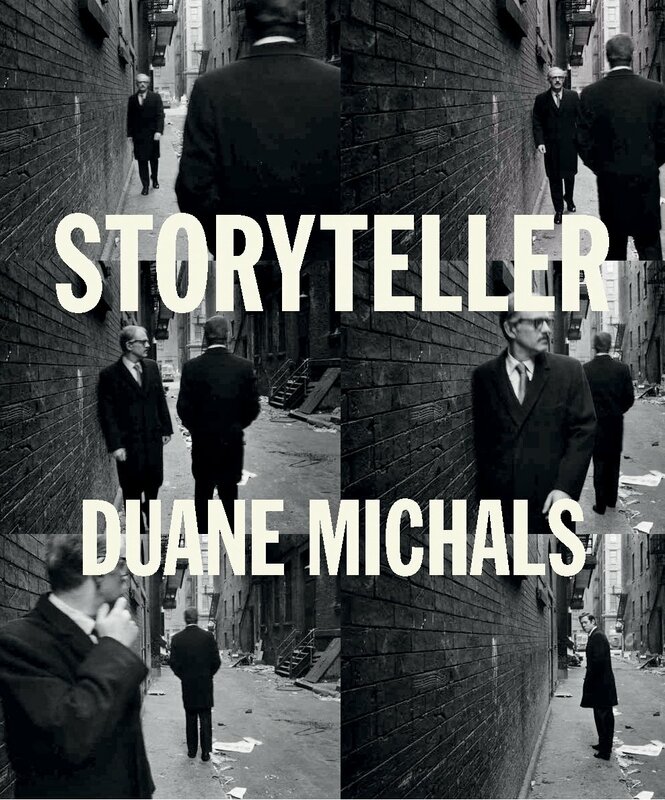 Storyteller: The Photographs of Duane Michals opened Fall of 2014. As curatorial assistant, I was involved in every facet of its execution. This included the preservation analyses of the prints, the curating of the checklist (and its life in the collection database), exhibition design, the writing of wall labels, plate selection for the catalog, and more. In addition to the Michals retrospective, I also monitored the daily activity of the photography department. This included processing administrative paperwork, writing acquisition reports, curating gallery rotations, managing invoices, supervising interns, hosting traveling scholars, and giving tours to museum visitors. In addition, I also lent my expertise to the Hillman Photography Initiative. After the conclusion of Storyteller, I accepted the position of Assistant Curator of Photography at the San Francisco Museum of Modern Art. My focus was the maintenance, growth, and exhibition of SFMOMA's permanent collection of photographs. During my time at SFMOMA, I managed the museum's Collection Study Center (hosting numerous visiting scholars and classes), collaborated on exhibitions such as Japanese Photography from Post War to Now, Selections from the Sack Photographic Trust, and Nothing Stable Under Heaven, and also represented the Photography Department in numerous external events such as portfolio reviews, book fairs, fundraising events, and artist talks. Now based in New York City, I'm always ready to look at more work. Occasionally, I even make my own.